The Devonshire Association (DA) is a hub of historical, scientific, artistic and literary enquiry. Supreme among its achievements are the annual volumes of its Transactions, which contain well over 2,000 papers and countless reports from the Sections since 1862. See a list of titles of all papers published since 1862. Abstracts are also available for each paper published since 1999. 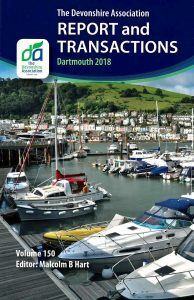 The entire series covers an immense range of scholarly research relating to Devon and represents the greatest single repository of information about the county. It is recognized throughout the world as a valuable resource. Anyone, whether a member of the DA or not, may submit a paper for publication. The only conditions are that the contribution deals with an appropriate Devon topic and that the manuscript is submitted according to the required format. All papers are peer-reviewed. See the Instructions for Authors. Scanned copies of the earlier volumes, almost in their entirety, are freely available from the Internet Archive website at http://www.archive.org. (*) After selecting a volume from the list below, it may be viewed by clicking ‘Read online’, or downloaded by clicking ‘All files HTTP’ and then right-clicking the pdf or djvu file. You may need to have Adobe Acrobat Reader or DjVu Browser Plug-in installed on your computer to view the files. (*) Four volumes are missing: IV 1870–1, VI 1873–4 (both available from Google Books); and XLI 1909 and L 1918 (which have not been found online so far). Two volumes of the Devonshire Domesday and Geld Inquest are also listed. Please note that the DA was not responsible for scanning the volumes, some of which are incomplete, especially regarding illustrations. We are working to make available online the various indices to our Transactions that have been published. Copies of articles from our own set can be supplied for a small fee on application to the Registrar. Since 2017 we have been looking into the feasibility of scanning and hosting the entire set on this website. It will be an expensive undertaking; we will provide updates if and when the project proceeds. The copyright of papers published in our Report and Transactions has always remained with the author, since republication on the scale we are now contemplating was never envisaged. If you, or someone for whom you now hold the copyright (a parent, for example) had any papers published in our Transactions and you are willing for the work to have a new life as research / educational material on this website, we would be very grateful if you would provide details to our Registrar – contact details here. 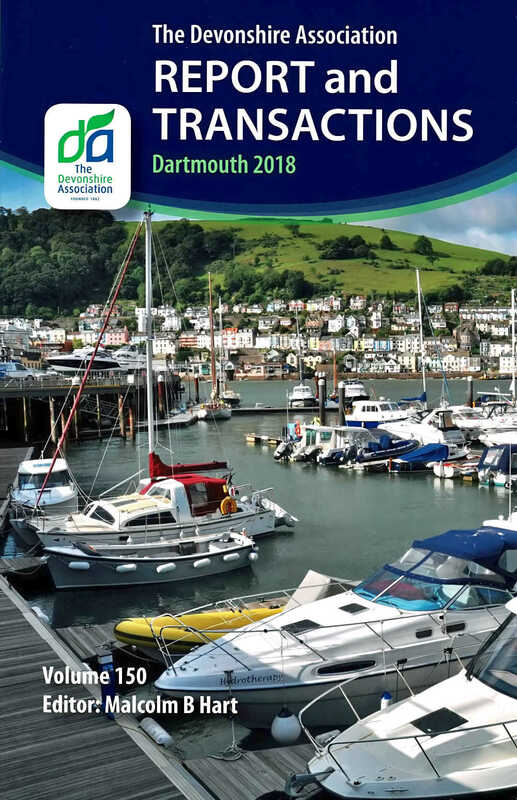 The Contemporary content section of our Devon page contains links to the papers and other articles that we have so far been able to make available thanks to the kindness of the authors or their heirs.